Unison Vineyard was established in 1993 and lies in the heart of the GIMBLETT GRAVELS WINE GROWING DISTRICT in Hawke’s Bay, New Zealand. 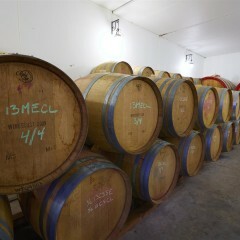 Unison Vineyard produces ultra premium red wines and has already received international recognition of belonging to the red wine elite of New Zealand. Due to the consistency over the years in high quality fine wines Unison Vineyard has been rated by Jancis Robinson (Concise Wine Companion) as one of 28 up-and-coming producers world wide “… whose success seems most obvious to me at the beginning of the 21st century …” – the only winery in NZ which has received this accolade. 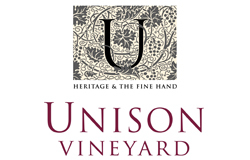 Unison Vineyard is a Family Estate run by professional husband and wife team Philip and Terry Horn. Joining them are the boys, Luke and Oliver together with cats Olive and Pip and George the dog.